At Flingers we love a crafty party tutorial using simple partyware, and turning it into something fun, pretty and colourful! 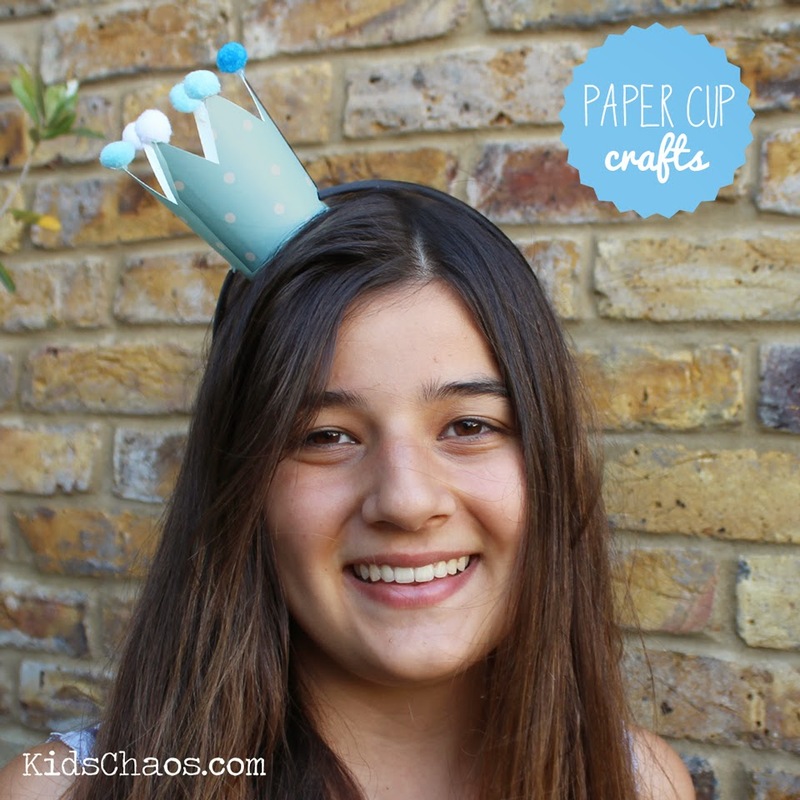 So it is obvious that we love this Frozen Crown Tutorial, made by simply using a spotty blue paper party cup! You can find the tutorial on kidschaos.com and it is super simple but sure to put a big smile on the face of the princess who wants to be the star of her very own Frozen party. Frozen is a big party theme this year and it looks set to stick around through the Winter months making the party theme feel a lot more magical as the temperature outside drops. If you are planning a special birthday party soon, get inspired by some Frozen party inspiration that we posted on the blog recently! Full of perfect touches to create the Frozen theme at your party. The great thing about this paper cup tutorial is that is lends itself well to any sort of party theme you may be planning. 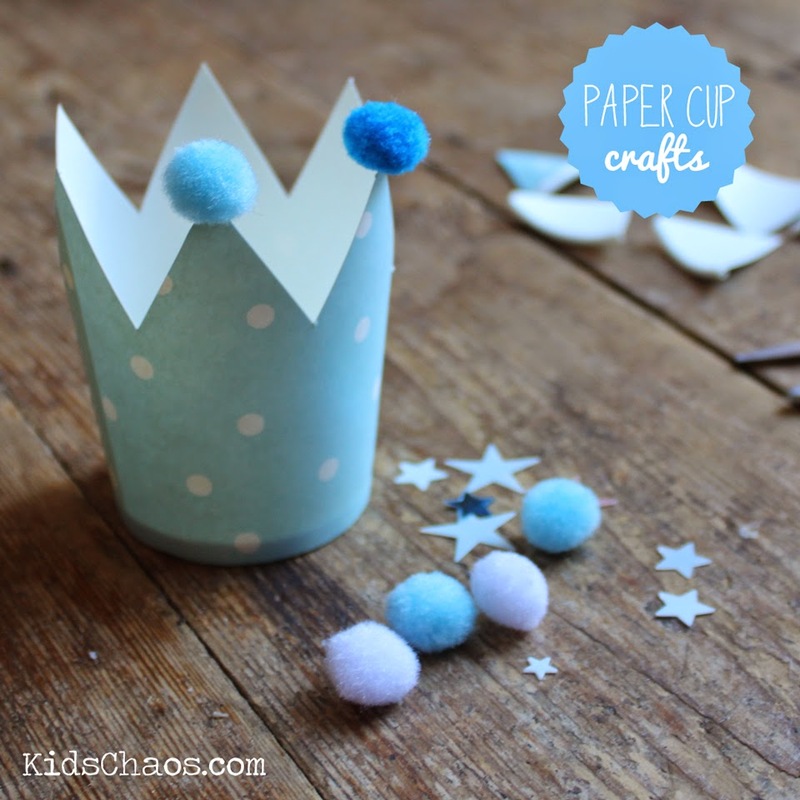 Using different coloured paper cups and fluffy pom poms, you can create a crown fit for any occasion! At Flingers we stock a wide range of coloured and patterned cups that would be perfect to use for this crafty party tutorial. Stock up now and you could make all the guests at your next party turn into paper cup royalty! Do you know a frozen princess who would love a crown like this?